Welcome to the STAR Institute! 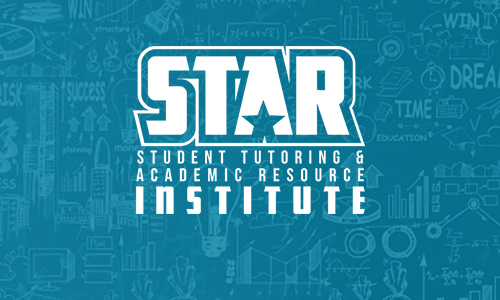 STAR Institute is the Student Tutoring and Academic Resource Institute. We opened our doors in Spring 2017. We provide FREE one on one tutoring in all subject areas, and success seminars throughout each semester. Student success is our number one priority at Calhoun Community College. Every effort is made to provide students with programs and services that can assist them in obtaining and reaching their academic goals. Academic performance is one of the best indicators of student success. Calhoun Community College has made YOUR success our number one priority. We have teamed up with TutorTrac to allow for easy access to Tutors. The success of any Campus is determined by student success. Having the ability to provide critical help at the moment it is needed enables success for everyone. Login to your MyCalhoun Portal. Under the Quicklaunch, click the TutorTrac/SAGE Icon. Click Choice Required (Your semester schedule will pop up). Click the Reason, and Press Search. You will see the schedule availability of all tutors that teach that particular subject. To select your day and time, simply click on the time that you would like to attend. On the appointment entry page, add your phone number, notes, check both boxes beside the save button and PRESS SAVE. It is that easy! Click on the Student name or Banner student ID number of the student that you are referring. You are now at the actual referral form. Select the CAMPUS that your class is held or if you are teaching online, select the Online Tab. Exciting things are happening at the STAR Institute- Get STARSTRUCK! Check the STAR Institute Directory and feel free to contact any of the staff for more information.